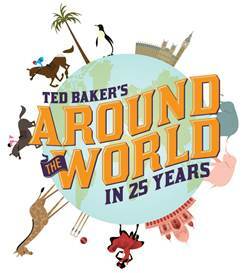 Ted Baker's 25th Anniversary - Come Join Me! 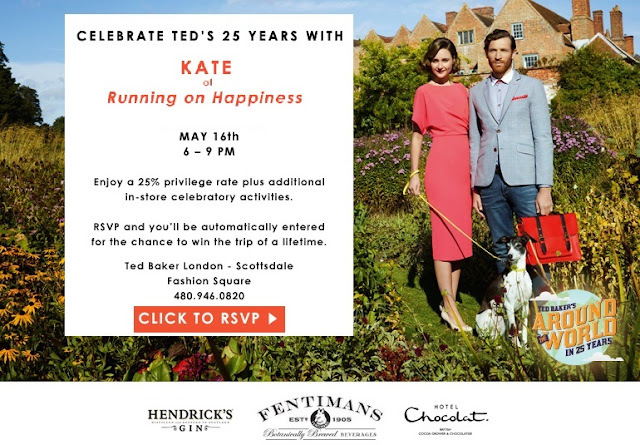 Join me and Ted Baker Thursday, May 16th (that's next week!) from 6 to 9 PM. In his 25 years of globe-trotting and style innovation, he’s clocked up a fair few miles and more than a couple of stories. So to celebrate his quarter-century in the biz, he is hosting a nationwide celebration! Come shop their amazing Spring / Summer line and receive a special discount of 25% off + exclusive gifts commemorating Ted's 25th Anniversary! Be sure to RSVP to the event and you will be automatically entered for a chance to win a trip to the Highlands of Scotland, where Ted opened up his very first store! The winner gets to spend five nights in a luxurious castle?! My dream come true. Missed your posts. Glad you're back and I hope you had a well deserved rest and relaxation. Whole heartedly... really missed your posts.